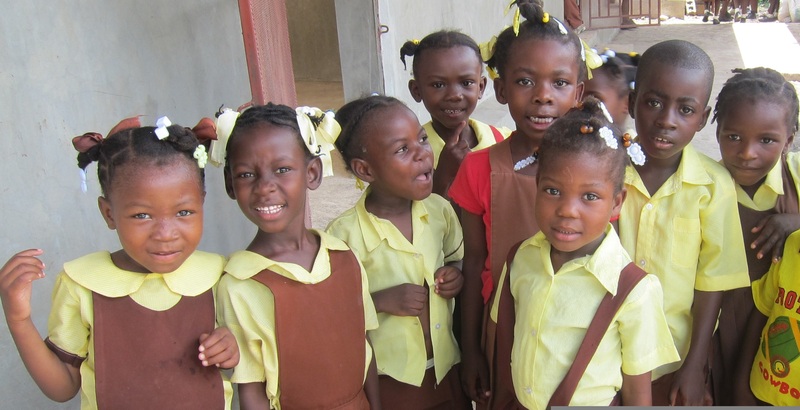 The Children’s Scholarship Fund For Girls entered its twentieth year of supporting the education of Hispanic girls living in the U.S. After the earthquake on January 2009, we expanded our program by providing support for students and teachers at the Foni Bo School in Gros Morne, Haiti. Girls from Hispanic backgrounds experience the highest school drop-out rate in the US. Education is the major way to empower these girls to develop self-sufficient lives and contribute to their communities. The Children’s Scholarship Fund for Girls was established in 1991. The original intent of the fund was to support the education of young girls (kindergarten through high school) living on Long Island, New York, who were refugees fleeing the killings and atrocities in El Salvador’s civil war. Over the years, the scope of the fund has broadened to include immigrant girls from the many Central and South American countries who are living in New York and Washington, DC. The CSFG welcomes girls from a variety of countries including Ecuador, Honduras, Guatemala, Mexico, Puerto Rico, Columbia and Peru. Most of the children we support live in refugee homes in impoverished neighborhoods. Their neighborhood schools are inadequate and plagued with violence. The 2010 earthquake brought the CSFG to Haiti. We now support teachers and students at the Foni Bo School in Gros Morne, sixty miles north of Port-au-Prince. Tens of thousands of earthquake victims fled to Gros Morne, and the CSFG has pledged to support 50-100 children at the school for nine years. The CSFG provides tuition support for girls to attend private primary and secondary schools while living at home. Schools are selected to provide a superior education, as well as a nurturing and safe environment in which a girl can develop her full potential as a young woman. We provide books, school supplies, uniforms and extracurricular activities. Volunteer teachers and older CSFG recipients commit to tutor youngsters in the program. We strive to involve both parents and educators in the growth of these young women while respecting and reinforcing their cultural heritage. We stress the creative and performing arts both during the school year and in summer programs. Since its inception, the Scholarship Fund has raised over $300.000 from private donors, grants and special scholarships. All of our scholarship recipients have gone on to attend college. We have had graduates from Vassar, St. John’s, St. Joseph’s College, Union, Hunter, Trinity, Boston University, NYU, SUNY Stony Brook, Columbia and Harvard. All the students have received scholarships from their respected Universities.